I own a Taz 6 (with MOARstruder) and UM2+ and noticed first with the MOARstruder but now also with the UM2+ a clearly visible vertical seam. I find this quite interesting considering that both also use CURA. With the TAZ MOARstruder I noticed that new lines sometimes start somewhat thin while I assumed start and end line width would be the same and touch each other. It is Cura's fault. Tweak z-seam option in Cura and check the planned path for the spiral object. I don't really get much of a z seam on my parts probably because I tend to print slow - usually 35mm/sec. The Z seam used to be where the printer changed layers and there was a pause while the Z axis moved. But now the Z axis is moved on inner layers only (infill or inner shells). But we still have a "Z seam". It's the place where you go from outer shell to inner areas. The problem is identical to why you get large rounded corners on a cube. 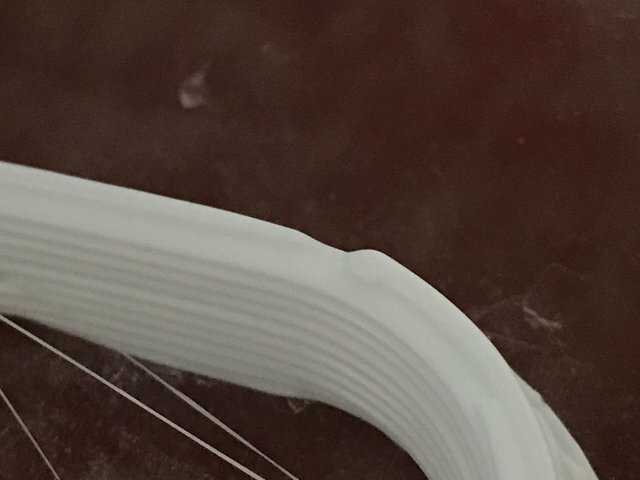 The problem happens anytime you have to speed up or slow down the extruder. When you come into a corner the printer has to slow down for the sharp corner and the extruder slows down an equivalent amount but it's too late as there is already a high pressure in the print head so the extruding doesn't really slow down at the Z seam spot even though the X and Y axis do slow down. So you get overextrusion (and of course a corresponding amount of underextrusion right after although that tends to be spread out on a larger area). So one solution is to increase acceleration and jerk settings on the firmware because now the print head doesn't spend so much time at the corner. The other solution is to lower print speed such that, again, the normal speed and corner speed are about the same. Other solutions include fancy features such as "advance" which is disabled in Ultimaker firmware but it is part of Ultimaker Marlin. You can turn it on in Configuration.h if you make your own version of Marlin. It's not the best fix. It's a bit of a hack and it underextrudes the wrong amount on corners and needs to be adjusted if you later adjust printing temp (which changes viscosity) or if you change filament color or type or print speed and so on. Even then it's a bit of a hack. Anyway, the UM answer I suppose is to basically slow down the outer most printed shell. Anyway this issue is much less pronounced on my UM2 than most printers because it has a reasonable jerk value (20m/sec) and a high acceleration value (default is 5000mm/s/s) compared to most printers. And again, I tend to print slow. I'm usually not in a rush and I have several printers. Exactly, print slowly whenever you can, and many problems just do not exist or are barely noticeable ? Slowing down the speed for quality is a reasonable choice if it works. But I already print at 40mm/s. I feel clock is slow. Life is short after all. The idea requires slicer to know in advance that extruder approach the end of layer. Thus, gradually reduce pressure on extrusion intelligently ahead. But how to model the fluid dynamic of melted filament is not as easy as it sounds. But the approach above is quite different from what Cura did where it repositions the exit point of layer. But I sincerely doubt Cura's approach is good one. For the thin wall, hiding it in inner wall doesn't work, either. Let alone the sub par path you saw. Perhaps, changing extrusion may finally lead us to see the light at the end of the tunnel. Any thoughts? Two well known printer firmwares (Marlin & RepRap) already implement this feature. Arguably, modifying the extrusion rate depending on impending/preceding nozzle speed/direction changes is best done in the printer as it has a better understanding of its capabilities and limitations. The firmware can't use Z axis movement to deuce the next layer is coming because we use Z hop. So how does firmware know we move on to the next layer? For sure, firmware knows the physic motion better than slicing engine. But slicing engine has more time and more hints to figure out the plan path. So do you think we can do something about it on the slicing side? At least, we can try and see if it failed. In the blog, there are two approaches: one control extrusion in firmware, while another is to generate intelligent tool path in slicer. I don't get it why it is allowed to be patented. It sounds like if I patent using right hand to slice apple, nobody should use the same way. 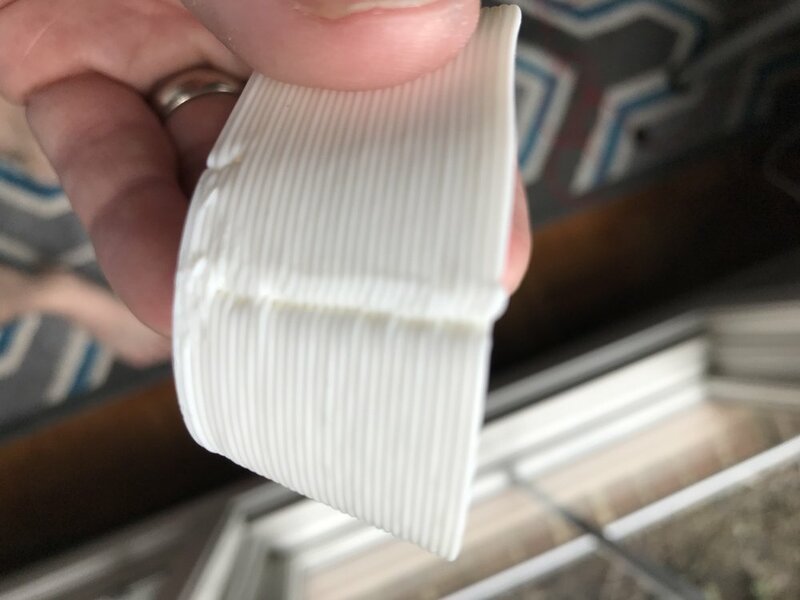 I am sorry for asking this basic question but when setting a lower print speed does this then also influence the extrusion speed? Based on what you said it reads like slower speed = printer(extruder) has more time to react == less over/under extrusion issues. Okay so realize first that the pressure in the nozzle can easily reach 1000psi (7000 kpa). And the bowden tube on a UM printer or the actual compressive springiness of the filament acts like a spring. So if you are printing at given speed and the pressure is say 500psi and you slow down for a corner in a cube to 1/4 speed you want the pressure to correspondingly to drop really fast to 1/4 of the pressure so the filament comes out 1/4 as fast but because there is a storage in the bowden or in the filament or other parts of the printer, it takes a few seconds for the pressure to drop so you get overextrusion on corners (and on the z seam or any other place it slows down briefly). Does that make sense? The X/Y can slow down much faster than the extrusion pressure. But the solution isn't to lower the acceleration - the solution is to increase the acceleration so it doesn't pause so long on the corners. But the printer can only go so fast before it loses steps. But the solution isn't to lower the acceleration - the solution is to increase the acceleration so it doesn't pause so long on the corners. But the printer can only go so fast before it loses steps. Print slower and solution is increase acceleration? Do you understand the part about high pressure in the nozzle? And how there is a delay between when you speed up or slow down and when the pressure coreespondingly speeds up or slows down? It can easily take 10 seconds for the pressure to equalize after a speed change. So. Imagine you are printing a cube and that means a square on each layer (outermost shell. When it slows down for the corner it overextrudes because the corner is printing slower yet the pressure in the head hasn't changed much. The solution is to print it all at one speed - and the closest you can get to one speed is infinite acceleration and infinite jerk. So you do the highest you can afford. The jerk speed is typically 20mm/sec (this is not true jerk - this has to do with the speed at sharp corners - if jerk is 20mm/sec then it will for example slow to 14mm/sec on a right angle corner). If your printing speed is 14mm/sec then there is no slow down. PERFECT CORNERS. yay. But you don't have to go that slow. You can go 25mm/sec and still get stunning quality. Or 35mm/sec and get quite good quality. Especially since the acceleration is very high so it's only slowed down to 14mm/sec for a millisecond or so. 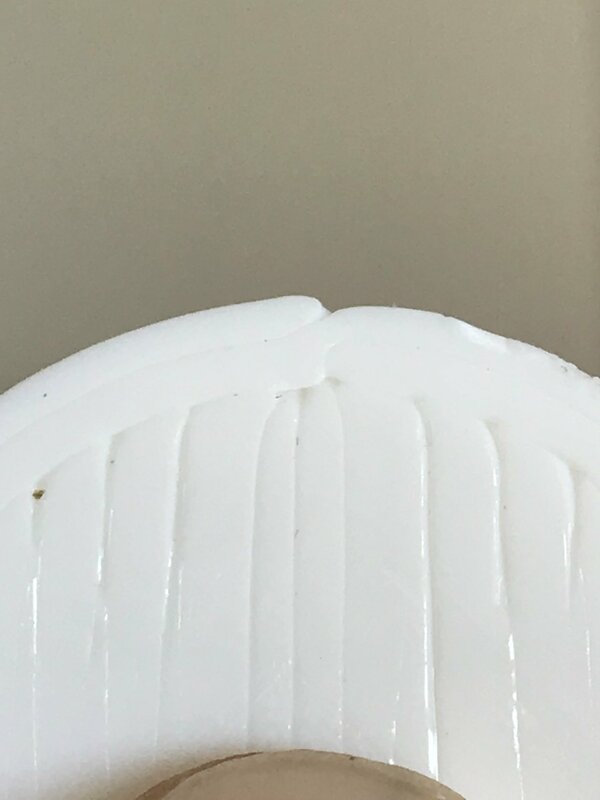 If you lower the acceleration you will get much more overextrusion on corners and you get these bumps/zits which are basically happening on corners. I'm not a fluid dynamic physicist. So I wonder how do you know it needs 10 seconds to "equalize" the pressure inside nozzle. In my limited knowledge, I think the melted filament inside the nozzle should always drip due to the gravity. But in the absence of extrusion, the volume of melted filament should only include from nozzle to hot end. To be more precise, this also depends on the physical design of hot end and nozzle as well. In the absence of a sound theoretical guidance, printing slow is and will be always a good choice compared to all sort of premature optimizations we did in latest Cura, like stop extrusion earlier in coasting or changing starting point in z-seam. However, we can't stop finding the good solution by lowering print speed all the time. I think that's beauty of fail fast fail often approach. It depends if a machine has a bowden tube. Machines that don't have direct drives (aka; Ultimakers) tend to suffer more pressure being built up. So yeah, the default parameters are not designed for other machines, they are explicitly there for bowden style machines. The easiest way to get your best quality is firstly to print slow - if anyone disbelieves that, well have you ever done any serious physical comparative testing on the subject? Also as @gr5 says, set all your print speeds to the same value to reduce pressure variations to a minimum; and yes I do recognise that there will be certain model geometries where you will not want to do this and will be happier to accept any resulting deficiencies. This seems counter-intuitive that direct extruder has less pressure built in the nozzle than Bowden extruder. 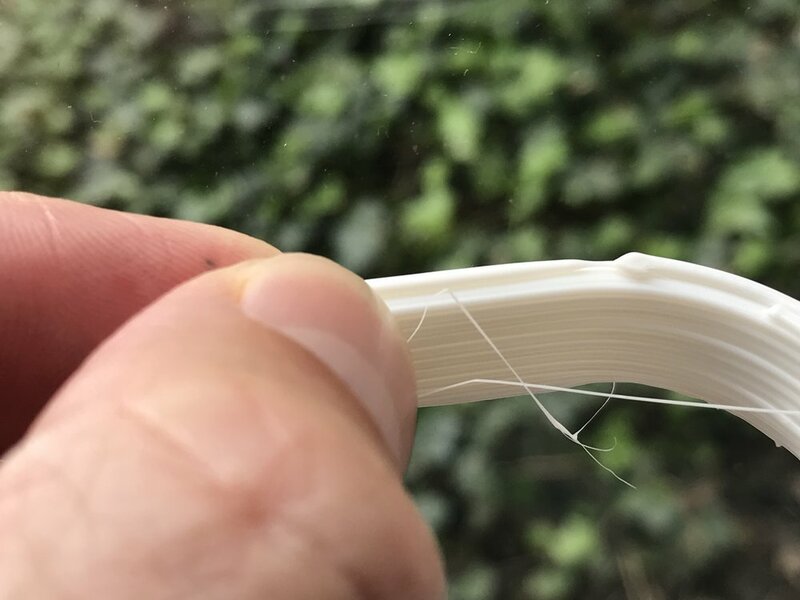 The reason that Bowden extruder is farther away from hot end than direct one doesn't seem to be the right answer to explain the pressure difference. Do you know more details in why? Just curious. It's quite intuitive; The material is not "tight" in the bowden tube. It's a bit like a breaking cable from the bike. If you put pressure on it, it's first moving the bowden tube, putting pressure on it. Only when that pressure is maxed will the material start to move. The same happens if you stop moving. This effect is called hysteresis. I got the part direct style cause the momentum of moving part (hot end and nozzle) higher due to the fact that the extruder add more mass. Thus, direct style is no good for controlling the whole part for motion compared to Bowden style. But the pressure part is still not clear to me. The only difference between Bowden style and direct style is the distance between extruder and hot end. Let's imagine this: you try to push a 100 meter long train (Bowden style) vs 1 meter long train (direct style) into a tunnel (hot end). Assuming the mass of the train (the mass of filament) is not a big factor, the force that you exert (the pressure built up in the nozzle) to make your train (filament) to pass through tunnel (hot end) should NOT be any dramatic difference. There might a time lag. But the pressure built up in the nozzle should be more or less the same. Ricky, in addition to the backlash in the bowden tube cause by the different diameters, the filament is acting as a compression spring and the tube an extension spring. When decelerating or retracting, these spring deflections must also relax. The nozzle pressure when extruding is the same if printing with a bowden or direct extruder. The bowden printer must compensate for the backlash and the spring effect. Thanks for your explanation. That make much sense now. Filament acts like spring. Thus the time lag. But the pressure might be the same between these two. So back to my coasting problem in Cura (might be a little bit off-topic, pardon me),it is the timing difference between direct style and Bowden style during stop extrusion earlier in coasting. However the coasting setting parameters in Cura only exposed the coasting volume and print speed during coasting. It doesn't seem to capture the crux of the problem which is the time of controlling melted filament movement. I used the old Cura 15 and in the current Cura I set all printing values to 30. However the print result is the same. At the Lulzbot forum the staff mentioned to me that the start end line I see is just the way how it is with their MOARstruder and I think this might be the same with the Ultimaker 2+ and the 0.8 nozzle. 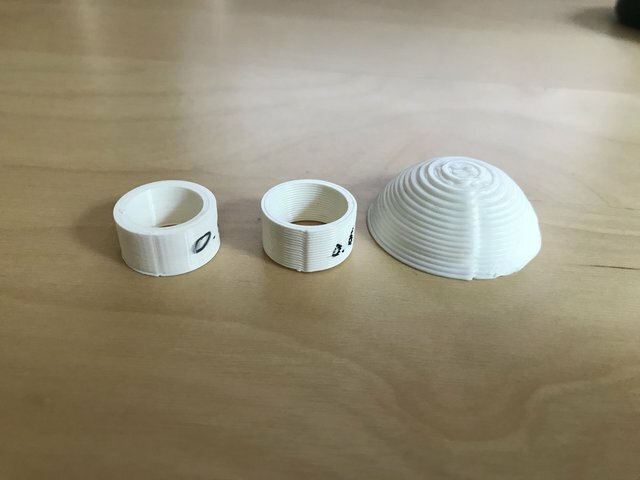 I have a pencil holder (cone shape) I printed with the Ultimaker but I dont recall the nozzle size but it was not the 0.8 nozzle. The print is flawless. When you say the print result is the same, does the z-seam problem is gone? If possible, could you share GCode of latest Cura and 15.04. 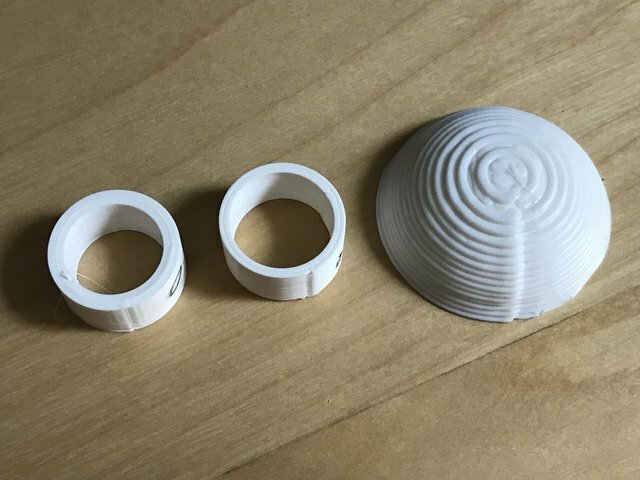 The print issue remains no matter what cura version or print speed. 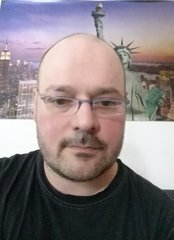 Please post pictures of the issue from cura 15 and from cura 3.X with speeds all set to 30mm/sec. So I wonder how do you know it needs 10 seconds to "equalize" the pressure inside nozzle. That's just thrown out there to get a number in your head -- to explain the concept of why speed changes are bad. I watch the printer. A lot. Like watching fish. And I pay attention. So for example on the UM2 with the old black feeder sometimes the stepper motor wouldn't have enough torque and it would skip backwards a full step. which is a lot. The filament wouldn't actually go backwards in the bowden but it would lose pressure. It takes several seconds to recover before it's printing properly again. Maybe it's only 5 seconds. This is especially obvious when printing infill on the bottom layer. On glass. Or I'd be printing a solid infill cube where all the infill lines are touching as a test of how fast a particular filament/nozzle/temperature combination can print. And I'd change the speed (tune menu). It would take a few seconds to equalize again. You can see the gaps between infill lines if it's underextruding and you can visually see if it's overextruding as well. If you slow it down it over extrudes for at least a second and then eventually reaches equilibrium. If you speed it up it underextrudes for a few seconds and then reaches equilibrium. Maybe it's not 10 seconds - maybe it's 2 seconds. It's an exponential curve so to be more accurate I'd have to say something like "pressure reaches within 1% of equlibrium in 2 seconds". There is a delay from when you do a speed change to when the pressure in the nozzle equalizes (due to many spring factors but the main one is the bowden tube which can stretch slightly).